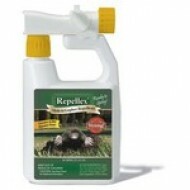 This is an effective, non-toxic mosquito repellant. 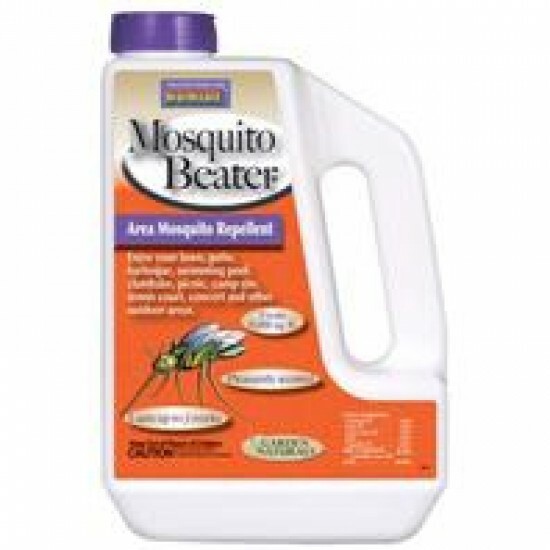 Mosquito Beater contains cedar oil, citronella oil, geranium oil, lemon grass oil, and garlic oil to repel these annoying/ biting insect pests. 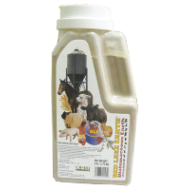 Last for up to 3 weeks, and comes in granules. Good for outdoor events. This stuff works and smells good too. 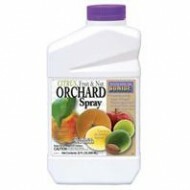 Citrus Fruit Nut Orchard Spray Concentrate, 1qt. 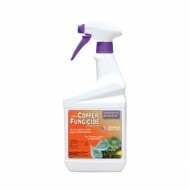 This concentrate is a great multi-use application fungicide and insecticide spray. 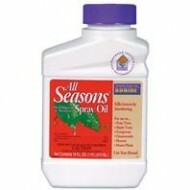 The active ingredients are pyrethrin and sulfur, both approve..